Even though the garden may seem to stop growing at particular times of the year, the work never ends and there’s always something to do. So, let’s take a look at the tasks that you can perform in August after enjoying the summer months and many barbecues with family and friends. Let’s have a look at how to make the most of your outdoor area. Ensure your patio pot plants (and trough plants) are well watered as well as also sufficiently fed. Things don’t really slow down completely until November. Get some decent garden wire and then any old strong slender wood will do. It’s never a bad time to take a look at the condition of your hanging baskets. 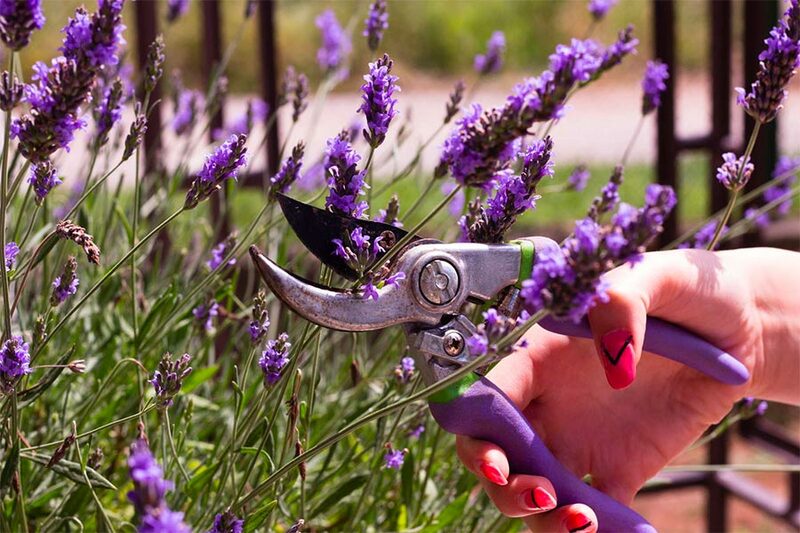 Trim lavender to prevent them becoming too large and cumbersome. Good sharp secateurs are a must. Prune rambling roses, again secateurs or sharp shears if you don’t want to, or can’t get close enough. Collect seeds that are ripened and keep them. You’ll be able to plant free again next year. If you have a wildflower meadow, then now is the time to cut it as the seeds will scatter. The use of a strimmer makes sense if there’s a big area to cover. Spray around perennial weeds with a weed killer or perhaps get on your knees and use a weeder if you’re feeling like the exercise and don’t like chemicals. It’s never a bad time to look at the ground quality. Here’s some handy soil tips. If it’s brown, don’t worry, there’ll soon be plenty of rain just give it a little feed and it’ll be fine – growth will be damaged by the colder weather so don’t cut too much. Raise the height you cut with your lawn mower as the growth will now be slower than at the beginning of the summer. This helps encourage healthy grass throughout the winter. Use garden tools such as scarifiers or aerators to help improve lawn health. Those who are going to lay a new lawn should prepare now. The area will take time to settle and weeds will need to be killed. Lawn edges can be cleaned and cut. Where would I be without a handy edging tool? If you have ants, clean their nests, it’s a good time to look at ant pest control. 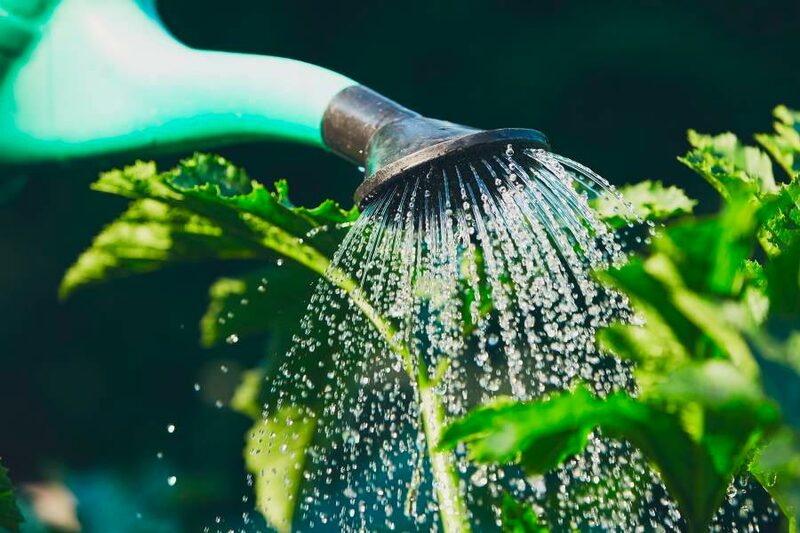 Water plants if soil is too dry. I find it’s really handy to setup and automatic watering system over the summer months just for when I have to go away. Increase humidity on dry days. Avoid overheating with blinds on very warm days. Use sticky traps to prevent flying pests causing damage. Clean fallen leaves up, a leaf collector would be a really handy gadget to have at this time of year. Feed plants with a high potash feed. If you have citrus plants feed them with an apt fertiliser. Net berries to prevent animal problems. Harvest fruit trees such as plums, apricots and cherries. If you have loads of berries why not freeze them – they will keep for the whole winter. Tidy up strawberry plants to improve ventilation. When fruits on the vegetable plants start to form, feed them with tomato feed. Remove the top of tomato plants to concentrate growth. Do the same for runner beans if they are at the top of their canes. Thin parsley to ensure the roots are strong for the cold weather. Snow at this time would be a disaster. Harvest second potatoes if they’re ready. Remove onions and shallots if the foliage is dying back. Take cuttings of herbs and dry. Be wary of potato and tomato blight and also butterfly eggs on cabbage. Clear the dead foliage away from vegetables. Be aware of leaves, if you’re not careful you’ll have a run of insects but I suppose you’ll attract the birds then too so not all bad! 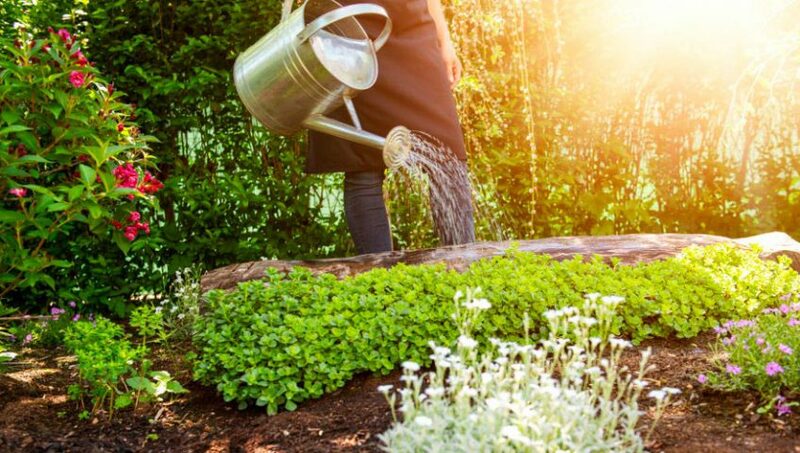 If you follow these tips you should find that your garden is completely under control for the month of August. If you’re good with August, why not take a look at our November gardening ideas too. Aside from care to the garden, it’s worth thinking about what else is affected. Making your garden toddler proof is another big feat, if you are lucky enough to have one that is! My biggest success this year was the wildlife, when there’s a drought I have some really handy tips for helping the wildlife through a drought in this article. As we say goodbye to summer winter is coming before long! If you’re not looking forward to the gloom of winter I have 5 brilliant plants that bloom in winter. They are sure to take the blues away.